Online sales taxes are pumping tens of millions of dollars into the state’s coffers, according to newly released figures. According to the Alabama Retail Association, the state collected almost $54.7 million in sales taxes from out-of-state, online-only retailers from January through August of this year. Another $15.57 million was added from September through today, according to the Alabama Department of Revenue. Birmingham has received the most – $1.277 million. Huntsville received $1.083 million and Mobile $1.074 million. 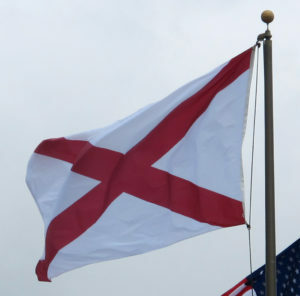 Alabama collects sales taxes from online merchants through its Simplified Sellers Use Tax Program, which allows merchants to pay a flat 8 percent sales taxes and avoid navigating the more than 200 different city and county sales taxes across the state. Of the 8 percent, 4 percent goes to the state’s coffers, 2 percent goes to counties and 2 percent to cities, with the county and city shares prorated for population. This entry was posted in Alabama and tagged Alabama, ENexus, online sales, sales tax, State v. Wayfair Inc. 2017 S.D. 56 (2017), use tax by ZASALT. Bookmark the permalink.